Turkish President says his country is best partner to work with US on withdrawal from Syria, reaffirms commitment to defeating ISIS. 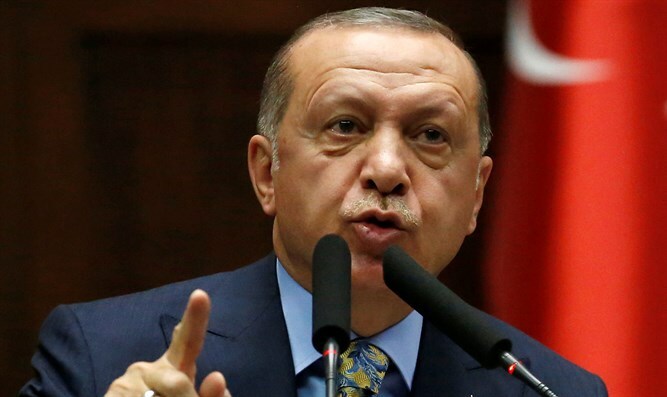 Turkish President Recep Tayyip Erdogan on Monday warned that the US withdrawal from Syria must be planned carefully and with the right partners. In an op-ed for The New York Times, quoted by Reuters, Erdogan argued that Turkey was the only country “with the power and commitment to perform that task”. Erdogan said in his article that Turkey was committed to defeating Islamic State (ISIS) and “other terrorist groups” in Syria. “President Trump made the right call to withdraw from Syria. The United States withdrawal, however, must be planned carefully and performed in cooperation with the right partners to protect the interests of the United States, the international community and the Syrian people,” Erdogan wrote. “Turkey, which has NATO’s second largest standing army, is the only country with the power and commitment to perform that task,” he added. The op-ed was published a day before Erdogan is scheduled to meet US National Security Adviser John Bolton, who is visiting the region. On Sunday, Bolton added a new condition to the US withdrawal from Syria, saying Turkey must agree to protect the United States’ Kurdish allies, who are seen as enemies by Ankara, Reuters noted. The US has been arming, training, and supporting the Syrian Democratic Forces in Syria, a Kurdish group with ties to Kurds in Turkey, including the Kurdistan Workers' Party (PKK), which is outlawed in Turkey. The Syrian Democratic Forces are led by led by the People's Protection Units (YPG), a mostly Kurdish militia. The US makes a distinction between the YPG and the PKK, but Turkey does not and has more than once expressed its outrage over the American support for YPG. Trump’s recent announcement of a US pullout from Syria left many questions open, including whether Kurdish fighters who had been operating in northern Syria alongside US forces would be attacked by Turkey.